At one time, commercial whaling had driven humpback whales to near extinction. Only 40 years ago, there were just 2,000 individuals left in the North Pacific. But these days much has changed. If you decide to partake in Maui whale watching, you’ll be witnessing one of history’s most impressive conservation success stories. Over the past few decades, international protections and public awareness have aided the recovery of humpbacks in the North Pacific to an estimated population of 20,000. 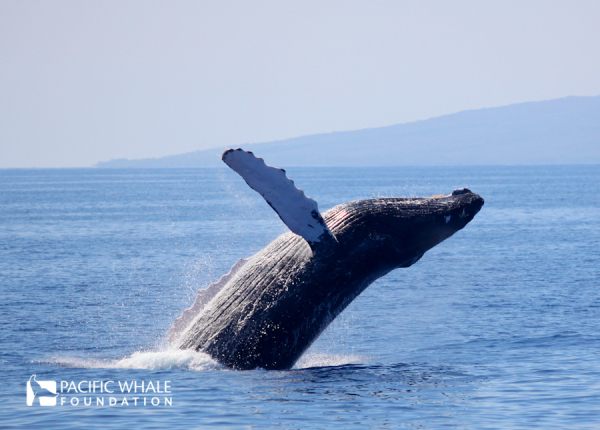 The coastal areas of Maui alone, boast one of the largest congregation of humpback whales. Every year, humpbacks migrate from their summer feeding grounds in Alaska to their winter breeding grounds around the Hawaiian Islands. 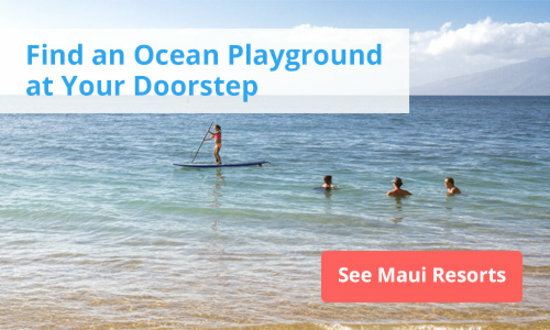 You can cross Maui whale watching off your bucket list easily from the shore (for free! ), there’s no substitute for the intimate experience of encountering a humpback up close in its ocean habitat. And more importantly, the money you spend on a whale watching tour in Maui could even go directly towards furthering conservation. 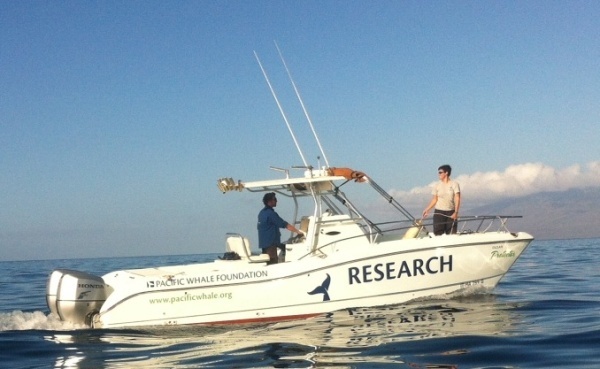 The Pacific Whale Foundation has taken Maui whale watching a step further, combining an unparalleled sea adventure with ocean conservation. Each tour ticket purchased through Pacific Whale Foundation helps to fund non-profit conservation, education, and research programs. Through these programs, the foundation is able to influence local and international ocean policy, provide hands-on learning opportunities for local school children, and conduct important humpback whale research in Hawaii, Ecuador, and Australia. Conservation begins with public education. Each of the Pacific Whale Foundation’s whale watching boats is dubbed a “floating classroom,” and all tours are narrated by a highly trained Naturalist. Passengers learn about whale biology, habitat, and even the threats that humpbacks continue to face. Before stepping off the boat, you also have the chance to sign your name on the “Stop Whaling” Petition, or even pick up a complimentary Seafood Watch Card to help better inform your seafood purchases. As Pacific Whale Foundation’s Conservation Manager, I receive numerous emails each year from passengers who are not only inspired by the Maui whale watching tour they experienced, but also motivated to get more involved in ocean conservation. By connecting the public to whales, Pacific Whale Foundation helps to develop the next generation of ocean stewards, all of whom will play a role in protecting the marine environment. 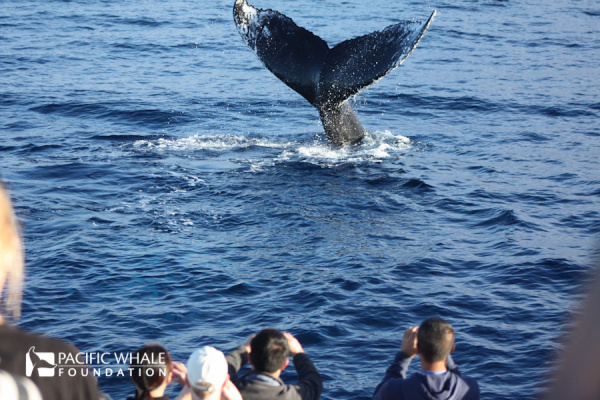 Over the past 35 years, Pacific Whale Foundation has used whale watching as a springboard for ocean conservation, and each tour is an opportunity to inspire passengers to make an actual difference. An important part of of any Maui whale watching tour is making sure it's operated in the most environmentally friendly manner possible. Pacific Whale Foundation vessels are equipped with sound deadening hulls and “Whale Protection” prop guards. It’s also company policy to ensure that nothing is discarded at sea, and all cups, utensils, and napkins are biodegradable and made from plant-based materials instead of plastic or Styrofoam. Pacific Whale Foundation boats have also been known to stop and retrieve discarded fishing nets or other pieces of marine debris. In addition, Pacific Whale Foundation has developed the “Be Whale Aware” guidelines that are now used by many Maui tour operators. Included are recommendations for safe vessel speeds, proper approach protocol, and whale watching etiquette. To ensure that whale watching develops in a sustainable manner, Pacific Whale Foundation is working to apply the “Be Whale Aware” program to whale watching operations around the world. Despite the great strides that have been made, issues such as habitat degradation, ocean pollution, and climate change continue to threaten not only whales, but the very ocean ecosystems on which they depend. 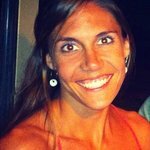 Fortunately, we all have the chance to be a very real part of the solution. From becoming more aware about ocean issues, to making simple changes in our everyday lives, there’s a place for each of us to help “save the whales.” And next time you visit Maui, remember that a whale watching tour is not only an awe-inspiring family experience, it’s a way for you to help make a real difference in the future of our oceans. You can visit their site to book a tour through the Pacific Whale Foundation. 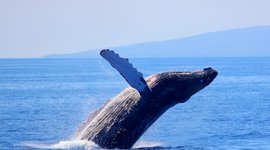 For more info on the amazing lives of Maui's humpback whales check out these 10 surprising facts.